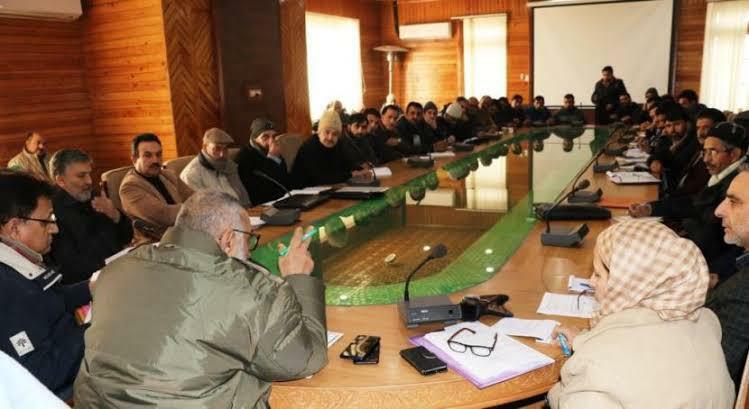 An urgent meeting was called by the Director Agriculture Kashmir Mr. Altaf Andrabi today on 11th March 2019 to foresee the stocking/availability of various fertilisers in the valley. Various fertilizer companies apprised the Director Agriculture that sufficient quantity has been made available to the farming community spanning different districts across the valley. The availability of DAP has been made to the tune of 23000 Mts against the requirement of 28500 Mts which amounts to 81% of requirement. The Availability of MOP has been made to the tune of 12277 Mts as against requirement of 14400 Mts which amounts to 85%. The Availability of UREA has been made to the tune of 17840 Mts as against requirement of 48000 Mts which amounts to 37%. However 9000 Mts of UREA are in the transit between Udhampur rake point & Valley. In addition, the companies namely IFFCO, CHAMBAL, IPL & NFL assured the Director agriculture Kashmir that there is a plan to supply more than 30000 mts of UREA, 10000 Mts of MOP & 9000 mts of DAP and will be made available by the end of this month. The director agriculture appreciated the efforts of the companies in making the fertilisers available in time to the farmers of the valley. 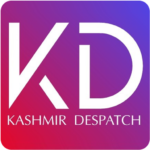 He directed the companies to augment the district wise positioning of fertilisers especially in the districts of Bandipora, Ganderbal & Srinagar so that the farmers of these districts may not suffer. He stressed that the companies must make all out efforts to procure UREA on priority within the shortest period of time as its requirement is on peak at this time. The companies acknowledged the scarcity of Urea, which is caused due to continuous closure of National Highway but assured that when the supplies starts pouring in, there will be no shortage of any kind of fertilizers. Sadly, some unscrupulous elements having vested interests have given wrong statements in the press to defame and undermine the efforts of companies and their transporters in making timely availability of fertilizers. It is on record that these elements have looted the money of the companies and CBI enquiry has been initiated against them which monetizes into more than 2.5 Crores. The fertilizer companies re-assured the farming community and orchardists that they will not leave any stone unturned in fulfilling professional and social commitments towards them.